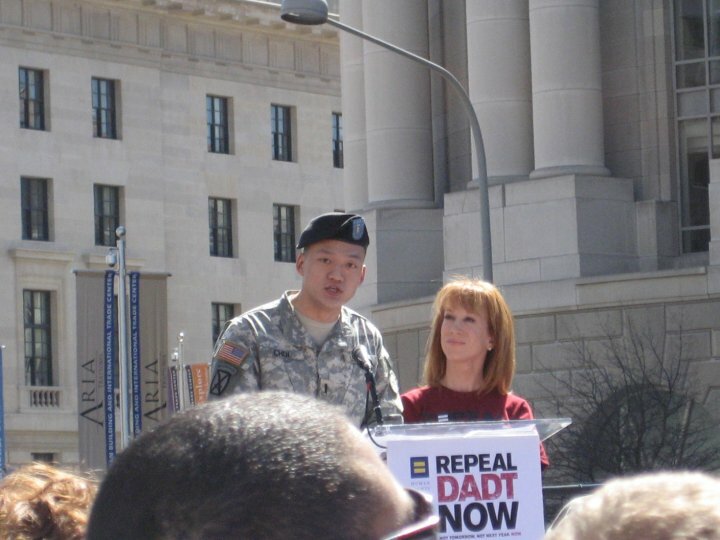 After being arrested for handcuffing himself to the perimeter fence of the White House following the rally organized by the HRC with spokesperson, comedienne Kathy Griffin, Lt. Dan Choi tells Newsweek that he feels betrayed by the Human Rights Campaign and Kathy Griffin. Interesting. I’m glad you posted this.